This post is sponsored by Nestlé, all opinions are my own. Is it too soon to start decking the halls? I asked that question on Instagram yesterday and thought I was going to get virtually egged for pushing my fa la la la la down everyone’s throats. But, the people of Instagram have spoken, and it seems I am not alone. Thank you, baby Jesus, because I just want to wrap November and December in a great big bowl of homemade capirotada. I grew up eating different versions of this delicious Mexican bread pudding during the holiday season. A tradition my grandmother had, and it never feels like the holiday season until I have my first capirotada. The heart of my abuelas home was the kitchen. If I was at her house, you bet we were in that tiny kitchen. There was only enough space for one person to use her four-burner stove top, but somehow my tias and grandmother could navigate that kitchen like it was the most functional culinary space ever made. I later learned that my grandmas capirotada recipe consisted of a few essential ingredients and whatever she had on hand. She never failed us with deliciousness and I learned that if I had Nesté essentials on hand, I could whip up my childhood favorite recipes anytime. Nestlé La Lechera, Nestlé Nido and Carnation Milk are staples that I find at my local Walmart. Having these favorites on hand saves me from making this season any crazier. 2. 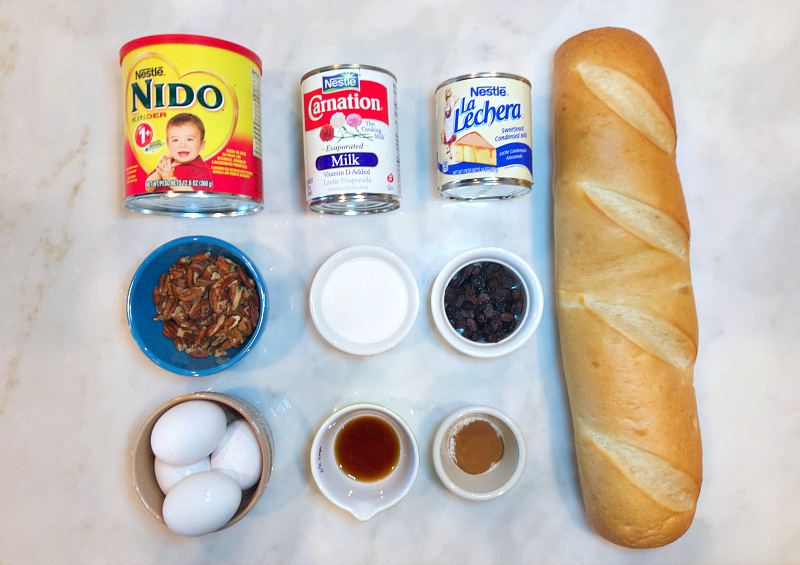 Place bread pieces on cookie sheet and toast 10 minutes or until golden brown Mix eggs, Nido milk, Nestlé La Lechera, Carnation Milk Evaporated, sugar, cinnamon and vanilla in a large bowl. 3. 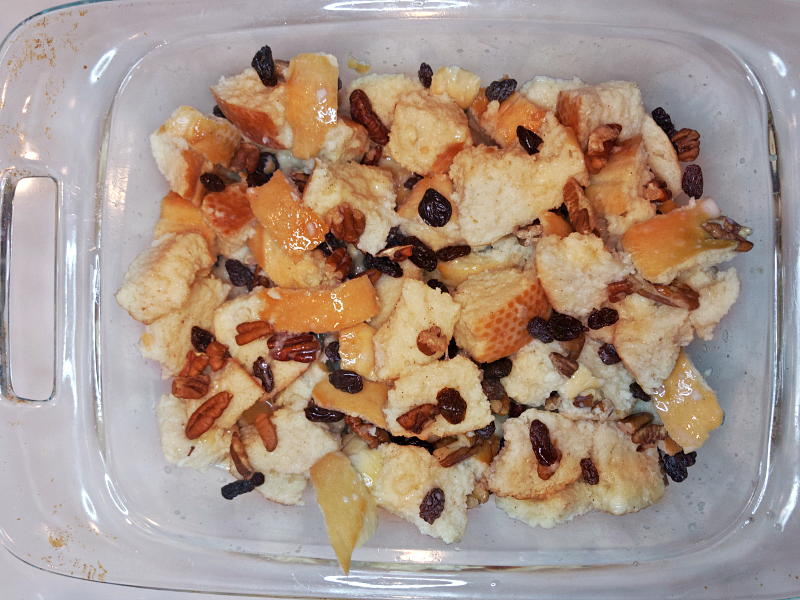 In a baking dish add toasted bread, raisins and pecans and mix. Allow bread to soak up liquid for five minutes. 4. Cover with foil and bake 40 minutes. 5. Uncover and cook an additional 10 minutes. 6. Let stand five minutes and serve. The holidays can officially begin now that we have our delicious bowl of capirotada. Do you have any favorite recipes I can make using my favorite Nestlé products?